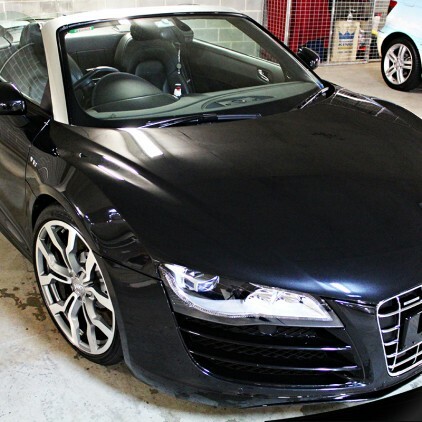 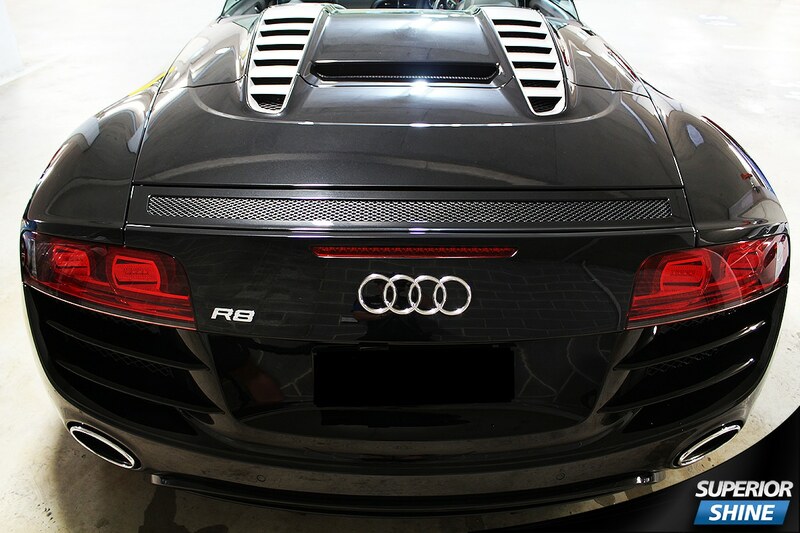 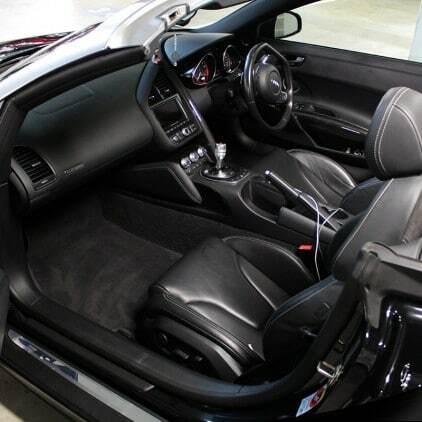 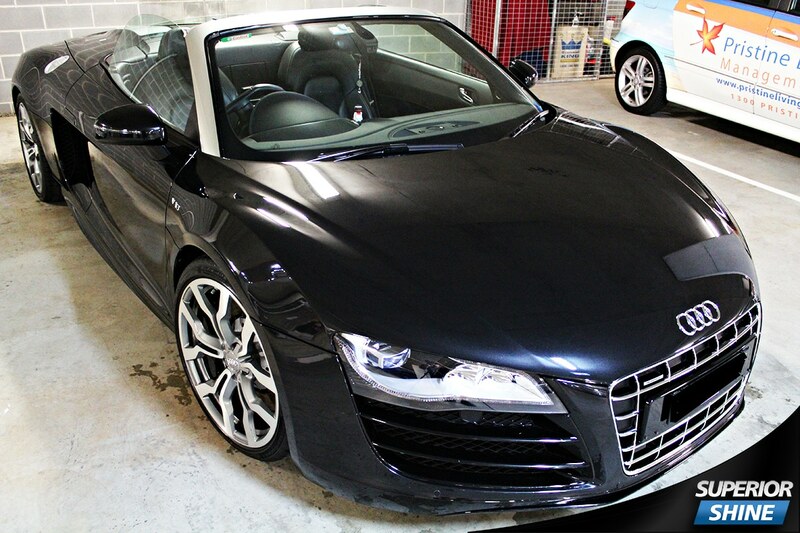 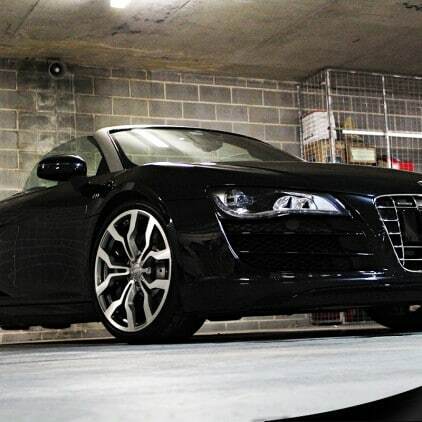 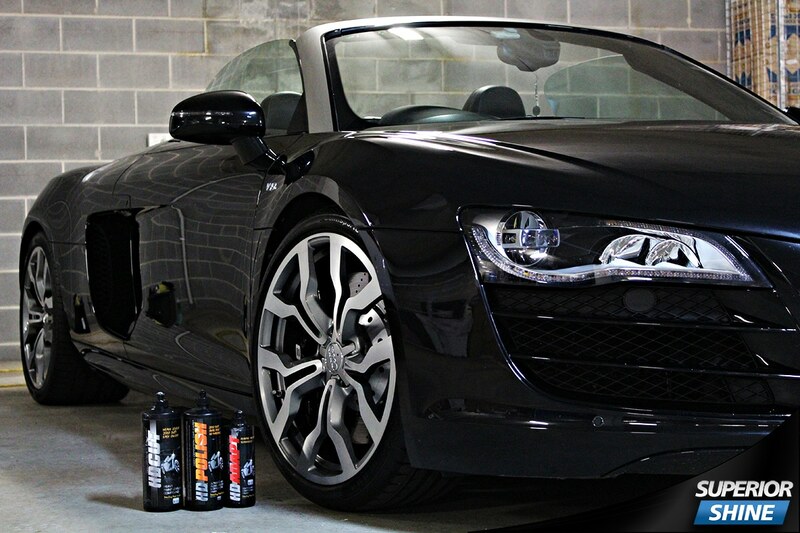 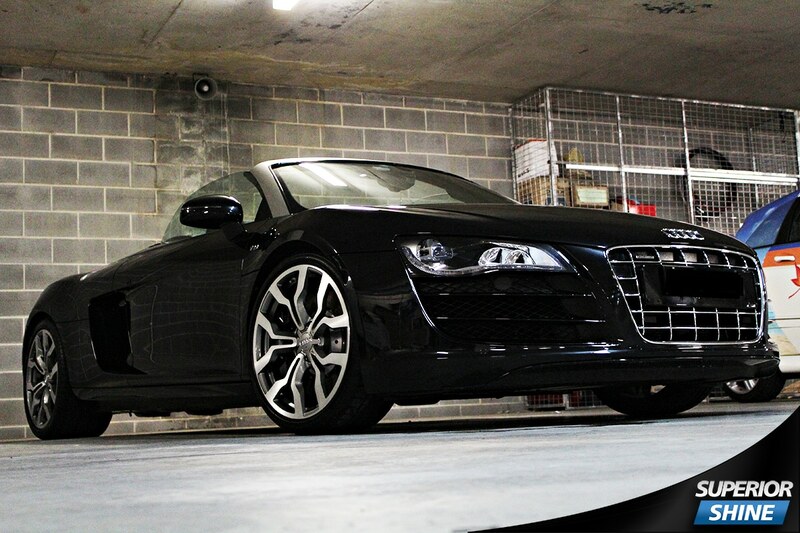 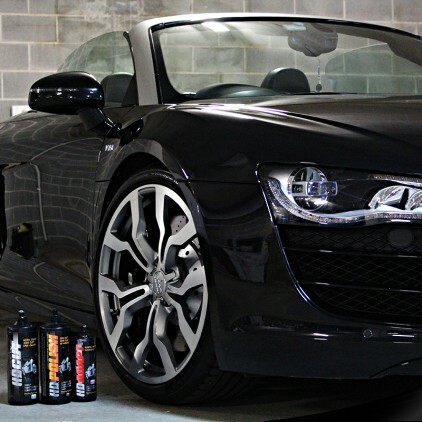 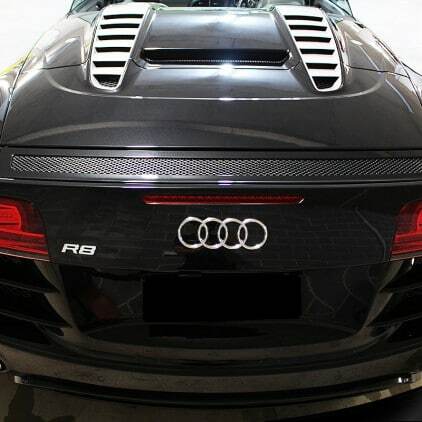 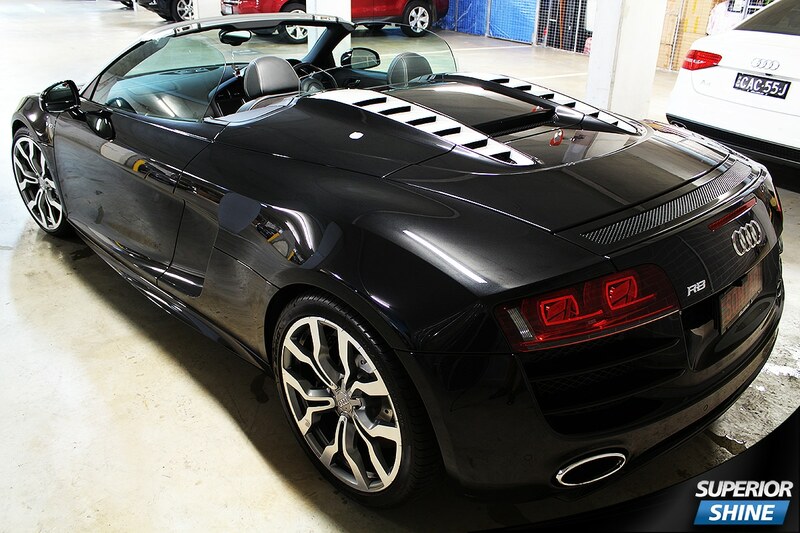 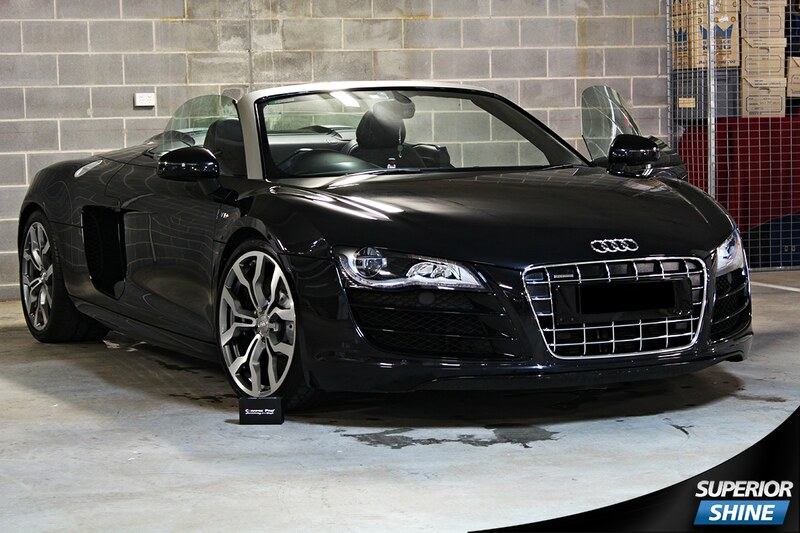 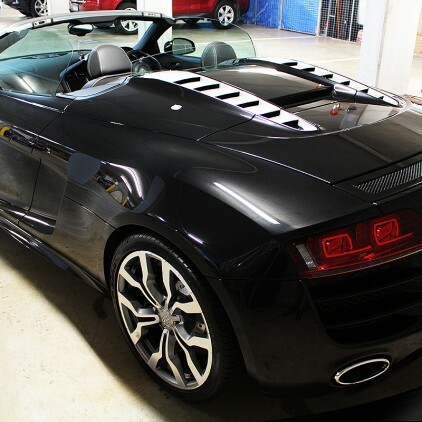 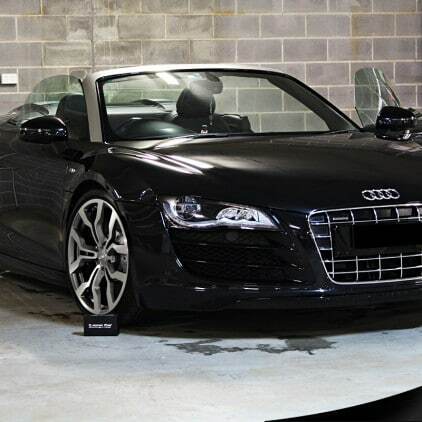 This Audi R8 V10 Spyder is one exceptional Supercar that deserves only the best treatment for its new well-deserved owner! 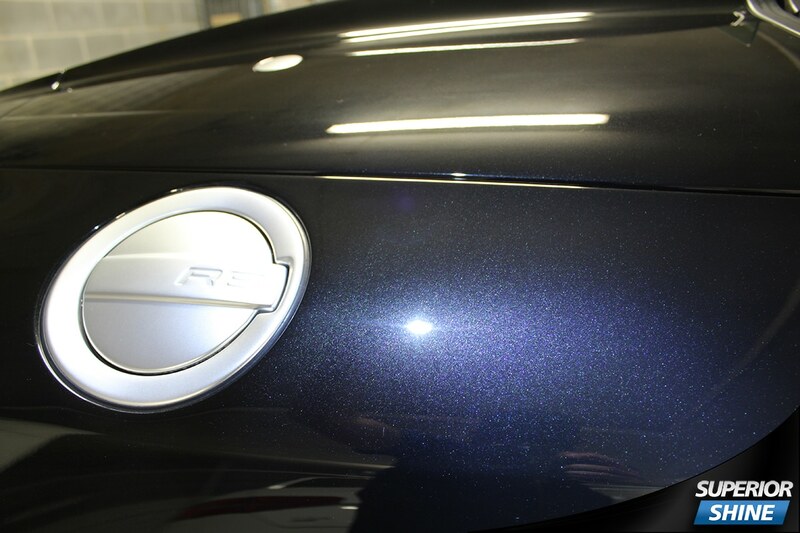 Unfortunately the paint work was in very average condition with a lot of paint imperfections such as swirl marks and scratches and overall lacking a deep gloss finish like one would expect to see on such a stunning Supercar! 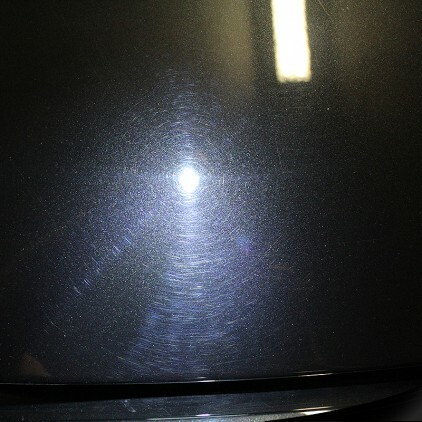 After an extensive 5 hour Stage Two Paint Correction by two highly skilled operators to remove paint imperfections such as swirl marks and scratches a deep gloss was restored, our Stage Two Paint Correction process starts by removing the heavy defects with an abrasive polishing compound and pad combination that we know works well on this type of paint, followed by a fine abrasive finishing polish and pad to restore the deep gloss and remove any minor imperfections left from the prior step. 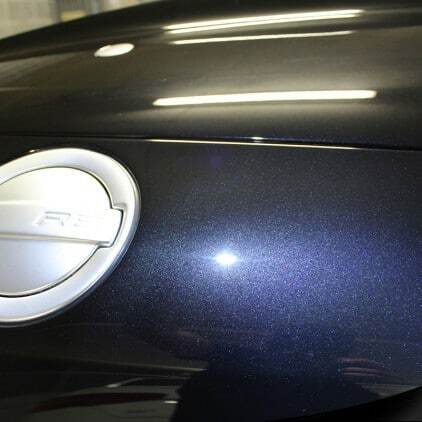 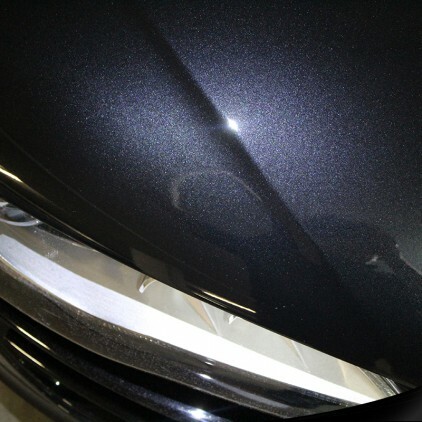 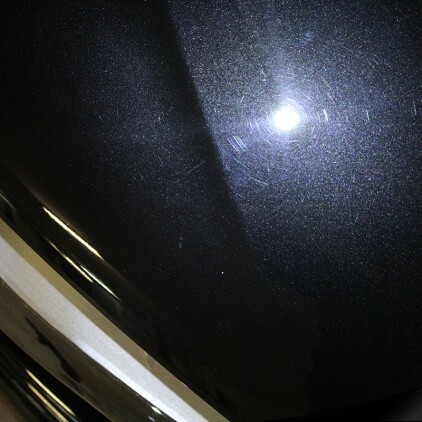 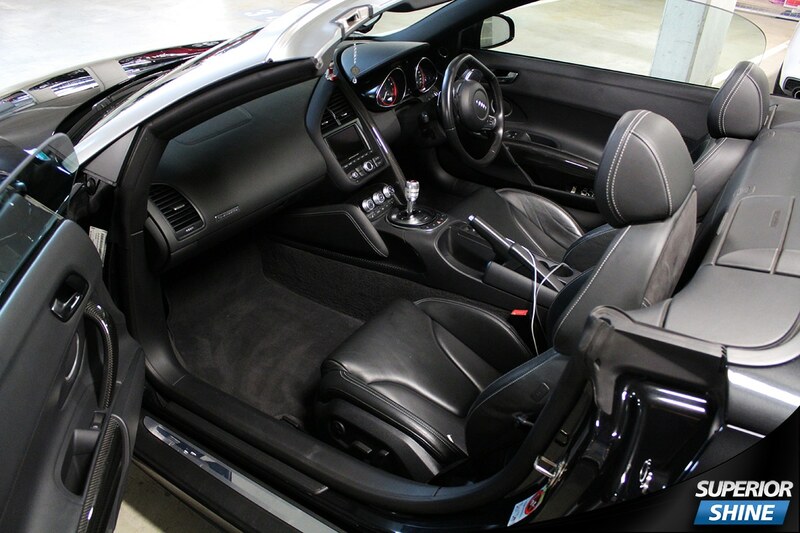 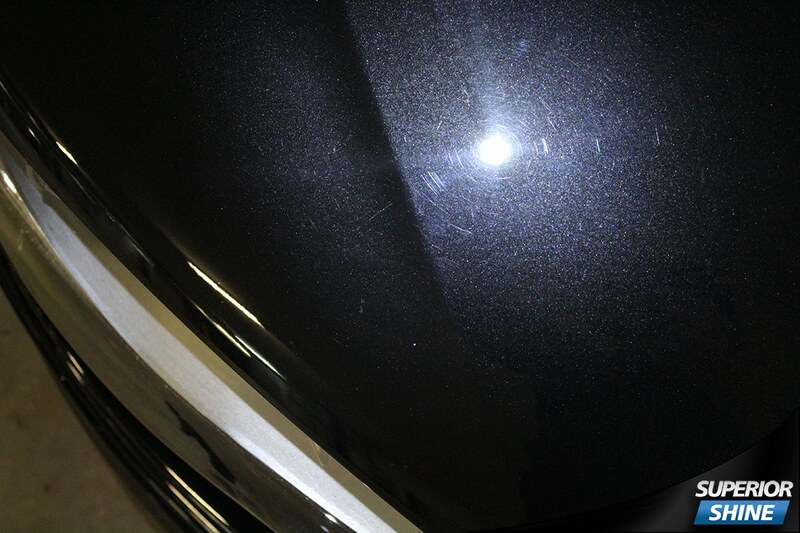 Paint Correction is usually done in a Single Stage, 2 Stage or 3 Stage process depending on the condition of the paint work and can take anywhere from 3 – 10+ hours to achieve the desired perfect finish! 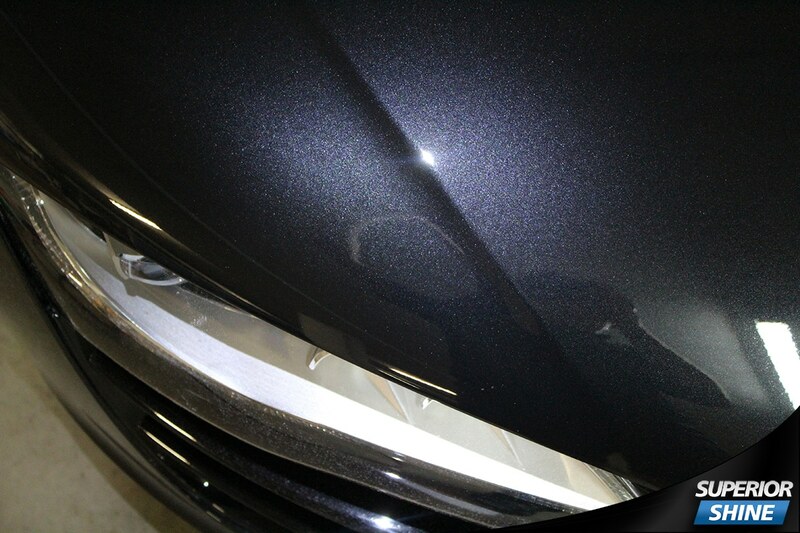 Achieving a perfect finish is something that is always achieved by a lot of car detailers that simply do not have the skill, equipment or suitable products for that type of paint on the vehicle, not all automotive paints are the same and paint can vary from being hard > soft and also not respond well to some products, unfortunately all too often we see vehicles that have been polished poorly and someone has induced swirl marks, buffer trails or other forms of damage from incorrect polishing techniques/products. 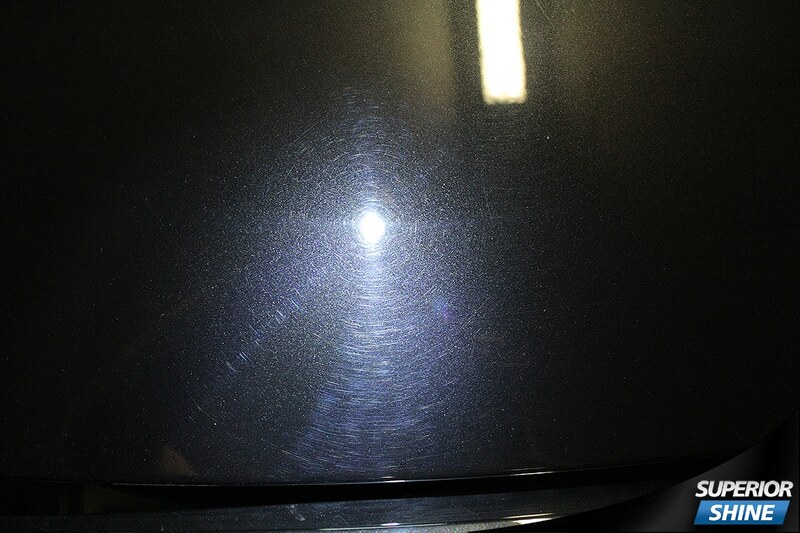 Once the polishing stages are complete and the paint work is in absolutely perfect condition it was then protected with Ceramic Pro Permanent Paint Protection, Ceramic Pro will not only add even further gloss to the paint work but protect it from environmental fallout, and also keep the car cleaner for longer and easier to clean with its Hydrophobic Effect!